Janelle Twine is an expert in naturopathy, nutritional medicine, western herbal medicine and education. She will support and guide you in your journey to your most vibrant health possible! What is lurking in your food that isn’t REAL? REAL FOOD is food grown by nature maintaining its vitality and nutrition. It does not contain chemicals like additives and preservatives – it NOURISHES your body. Cooked or not, it does not come in a can or packet with bonus numbers attached. 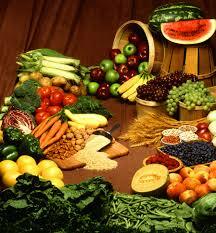 It is ESSENTIAL that you consider where your food comes from for optimum health. When you move away from nature it impacts on your immune system, digestive system and mind. In order to boost your immune system, digestive system and mind even more so, ensure you are hydrating, moving your body, taking deep breaths, getting out in the sun, enjoying quality sleep & doing something you love. But for today, let us get back to the topic of REAL FOOD. Is it ADHD or the amount of PRESERVATIVES, ARTIFICIAL FLAVOURS, COLOURS AND SWEETENERS in my child’s food? Is it PMS or is it the food choices I’m making? Ponder these questions for a moment – are you and your children eating REAL food? If not, perhaps conduct your own little experiment and monitor both you and your child’s mood and behaviour after certain foods like sugar, yogurt, cheese, ice cream, bread, sauces, packaged dried fruit, fruit juice, cured meat or cereal to name a few. Food greatly impacts on mood and behaviour! These days children are all too quickly medicated for disruptive behaviours without considering the foods they are putting in their bodies. Adults are often left wondering why their temper is so short and why they always feel so tired and irritable. I love to work with children and adults to improve mood and behaviour through food choices. Contact me for an appointment if you are needing support and guidance about how to improve you and your child’s mood and behaviour. You may already know that food in a packet or a can is NOT real food, however sometimes we are time poor, feeling lazy or we are still learning about real food, so it helps to have knowledge and awareness around preservatives, additives, artificial colours, artificial sweeteners and the like in order to make an educated choice. Knowing which ones to steer clear of is incredibly helpful! Sodium benzoate and Potassium benzoate (211) – known to cause Leukemia, cirrhosis of the liver and Parkinson’s disease, along with triggering allergies. 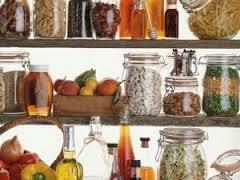 Found in pickles, flour, margarine, fruit juices, beer, salad dressing, soy sauce, toothpastes, mouthwashes and medicine. Sodium sulfite (220) – effects include headaches, joint pain, heart palpitations, allergies and cancer. Found in dried fruit, canned olives, corn syrup, vinegar & wine. Sodium nitrate (251) – worsen asthma and decrease lung function. Animal testing has proven high rates of cancer. Germany & Norway have banned this preservative. Used in curing meats such as ham, bacon, beef and sausage. BHA and BHT – synthetic antioxidants. The International Agency for Research on Cancer claims they carry carcinogenic properties linked to cancer and hormone disruption. Commonly appear in cereals, chewing gum, vegetable oil, potato chips, snack foods and meats. ARTIFICIAL SWEETENERS (eg. Aspartame, Sucralose) result in a shrunken thymus, impaired immune system & enlargement of liver & kidneys. Scarey! The Sucralose Toxicity Information Center reports – skin rashes, flushes, panic like agitation, dizziness and numbness, diarrhea, swelling, muscle aches, headaches, intestinal cramping, bladder issues and stomach pain. Sucralose destroys your digestive system. Aspartame alone creates over 92 different health side effects. It creates such chaos because it dissolves into solution and can therefore travel throughout the body and deposit in any tissue. When Aspartame is heated to 30 degrees it turns in to formic acid, formaldehyde and ethyl alcohol. Drinks containing aspartame can therefore be sold chilled and not pose a problem, however our internal body temperature is 36 degrees – this liquid soon becomes highly toxic and can cause numerous side effects to eyes, ears, neurologic, psychological, chest, gastrointestinal, skin allergies as well as our endocrine system, therefore creating hormonal disruptions. Sadly Aspartame poisoning is commonly misdiagnosed as MS, chronic fatigue syndrome, ADHD, Alzheimer’s disease, hypothyroidism to name a few. Brilliant blue (FD & C) – made from coal tar contain a high content of toxic substances such as mercury and fluoride which is found in coal. Gelatin (derived from collagen) – left over remains of dead animals hooves, skin, nose, eyes, bones, whatever is generally considered fit for human consumption. Sadly this goes through an intense process where the above is dipped in acid solution, washed, filtered and evaporated many times, drying, milling and then blended and packaged. Have you eaten a jelly lolly or protein bar lately??! Today I haven’t even touched on meat and dairy, in relation to real food. I will need to write about this in a future post. If you do choose to eat either or both, please ensure it is organic or biodynamic. This is essential. Lastly, I’ll leave you with a few things to remember when shopping for real food. Learn to work WITH nature – NOT against it. Eat seasonally. Supermarkets disconnect us from this and don’t always support the farmer. Eat what you grow, where you can. Get to the market and get to know your farmer – the person who grew your food. Vote with your wallet – if you choose not to grow your own food you are supporting someone else to do it for you. Consider who that person is. We are supporting their practices and will continue to do so as long as they have the financial means to do so. Consider who you are voting for with every dollar you spend. I hope to see you at the market this weekend asking lots of questions of the stall holders, about where your food comes from. I know I do! Janelle Twine, naturopath, herbalist, female wellbeing specialist. Janelle developed her practical philosophy for health via extensive travel and training. Having spent many years immersing herself in different cultures; from living amongst native Indian’s in Canada, to studying with Ayurvedic doctors in India, as well as observing traditional farming practices in Papua New Guinea and at high altitude in Nepal. Janelle understands the simplest path to supporting women to best health. With a deep connection to people, indigenous cultures and the body’s innate healing systems, Seeds Of Health – empowered daily choices – endeavours to grow a community of strong and connected individuals. To receive your 9 detox tips simply pop your name and email in and they will be sent your way! Click here for access to your free detox tips! Janelle’s philosophy of health has grown with nature and nurture. Her first awareness was that of her mum’s own journey with diets, cleanses and other health modalities - all in the pursuit of vitality and longevity. All in all a success, avoiding her and her children any major health crisis - but overall very confusing. And so the seed was planted to simplify the formula for healthful living. Janelle developed her practical philosophy for health via travel and education. Having spent a considerable amount of time immersing herself in different cultures; from living with Cree Indian’s in Canada, to learning from Ayurvedic doctors in India, as well as farming riverside in Papua New Guinea and at high altitude in Nepal. All in all you can trust that Janelle has done the miles to resolve the universal health myths and know the simplest path to your best health. Janelle compliments this experience with education. Her studies see her specialise in naturopathy (Naturopath Adv.Dip), nutritional medicine (Nutritional Medicine Adv. Dip), western herbal medicine (Western Herbal Medicine Adv. Dip) and education (B.Ed). As a natural educator Janelle will empower you with the seeds of knowledge to know what is best for your body in your time; inspire you to grow your own food where possible; enabling you to nourish your body with a diet full of nutritious plants and seeds.